Luke Stafford owns Mondo Mediaworks, Inc., a digital marketing agency specializing in content development for the web. He earned a BA in Journalism at Saint Michael’s College. After landing in Brattleboro with his wife, an artist, he worked in the marketing department at Mount Snow until 2009. He then founded Mondo, and in the eight years since it has grown into a 17-person shop. The company’s Values Statement is to build its surrounding community through economic development. It is proudly a certified B Corporation (“B-Corp”), which are for-profit companies that meet rigorous standards of social and environmental performance, accountability, and transparency. Luke also sits on the board of Southeastern Vermont Economic Development Strategies (SeVEDS). How did you learn about becoming a B-corp, and why was it a fit for Mondo? I’d been hearing about B-Corps for years, mainly from exposure to certified Vermont brands like King Arthur and Ben and Jerry’s. Because they are such large, product-based companies, I never thought seriously about our small marketing agency being eligible. One day I was explaining Mondo’s mission and values to our accountant, who operates an impact-driven business herself, and she recommended I speak to a local person who is knowledgeable on the certification process. Around the same time, a few of Mondo’s employees were learning about B-Corps. All of a sudden, it seemed doable. Joining the B Corp movement is a fit for Mondo because, like a lot of companies, we’re run by people. And most people — or, I could argue, all people — want to contribute to something bigger than monetary profit in their jobs. 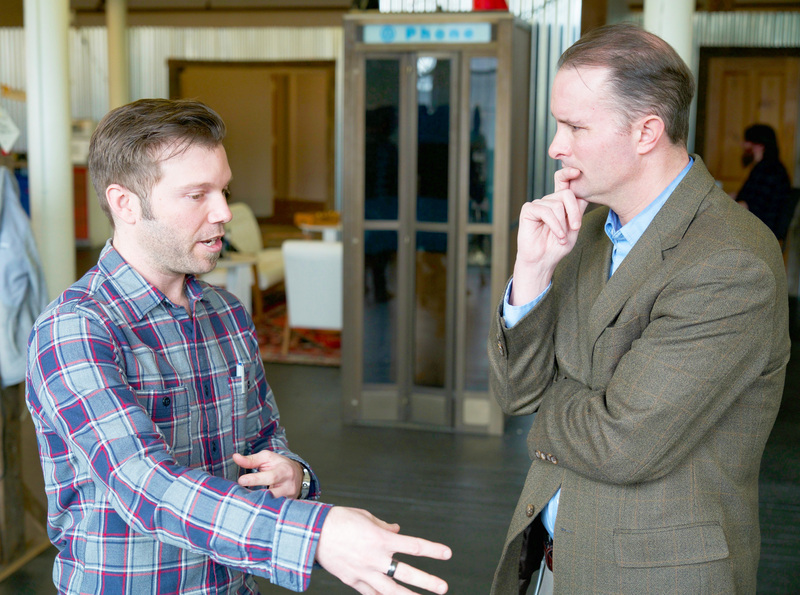 What prompted you to make economic growth in Brattleboro and Vermont as a whole part of Mondo’s mission? Since I started Mondo in 2010, there was a broad values statement to “give back to the community.” We donated to local organizations and supported local events, but it didn’t go much further than that. Then, in 2015, I got my first glimpse at the data coming out of the Vermont Futures Project, which clearly projected that the Vermont economy would be in big trouble if we didn’t solve some serious problems around workforce and population. I resolved that I couldn’t sit idly by and let the projections become reality. What impact have you had, with Mondo and independently, on your community? Last year we paid out hundreds of thousands of dollars in salaries to Mondolians who live, shop and play in the Brattleboro area. Most of those jobs didn’t exist a few years earlier. Of course, we can’t attribute a thriving Main St. or a restaurant opening solely to new Mondo jobs, but it feels great to see new Mondolians investing in the community, whether it’s buying a house or just going to the movies in Brattleboro’s historic theatre. As for myself, I have the privilege of sitting on the boards of my local elementary school and Southeastern Vermont Economic Development Strategies, where I advocate for programs and policies that make Vermont the best place to live for young families. What inspires your work, both at Mondo and in the community? You’re going to start thinking that I’m an overly obsessed fanboy, but really, it’s Vermont. Not just the lifestyle, but the landscape, the people, the… everything. I knew I was going to be a Vermonter immediately after my first snowboarding trip to Stratton when I was 14, and I can’t imagine myself living anywhere else. Specifically, my inspiration comes from my weekend hobbies: snowboarding, logging and processing firewood from our property, maple syrup making. Lately, my best ideas are surfacing during pop-up camper trips with my family to Vermont State Parks. The four of us are working to join the “251 Club,” whereby we visit all 251 towns in the state. We’re only about 10% of the way through, but it’s been a great way to explore the state and make memories with our 2 daughters. Check with me in 10 years to see if we’ve hit all 251. What have you learned from this community work? Democracy is alive and well in Vermont. I was blown away when I attended my first Town Meeting Day. It’s a very beautiful thing that everyone in this state truly has a voice. But it’s also the frustrating thing, right? Because for everyone who wants to see change, there is someone who likes things the way they are, thank you very much. When I moved to Brattleboro 13 years ago, I got involved with a committee to build a skatepark in town, thinking we’d be able to accomplish the goal within a few years. But some townspeople did not want a skatepark in the downtown area. Their voices were heard loud and clear, which I very much respect. But it means that getting things done can take a long time. In the end, though, I trust the process. I understand that big time commitments to boards or volunteerism is not always possible. But I would argue that little gestures, added up, have a much bigger impact. Picking up a piece of litter on the street makes for a cleaner downtown. And that clean, inviting sidewalk may be the small detail that reminds residents, “Hey, this really is a great town. I love it here.” That person will speak highly of the town to others, and the message continues to spread. Our everyday actions, and how we choose to speak about our communities, have huge consequences. What advice do you have for businesses considering a B-corp certification? First, it’s not easy to be certified. At least it wasn’t for us as a young company. But it spurred us to make a lot of “grown up company” decisions about our policies and standards. It took us about 9 months and we hired a consultant/project manager to get everything we needed in place. Today, we have an employee who maintains our B-Corp status as part of her job, which involves everything from monitoring our electricity usage to organizing our volunteer days. But it’s 100% worth it. Some of our best job applicants come through the B-Corp job board, and it’s a helpful distinction during the recruiting process. We regularly attend B-Corp-sponsored events, where we’ve met other B-Corps and shared ideas about sustainable ways to grow our companies. But the biggest piece of advice I could give is that your values at the company come first; if it aligns with B-Corp requirements, awesome. But stay true to your values, always. 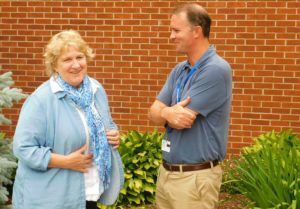 Sharon Garafano Russell is the Executive Director of the Rutland City Rescue Mission, better known at the Open Door Mission. 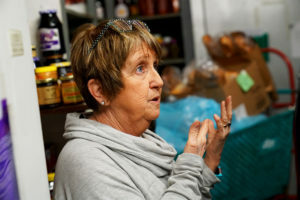 The Open Door Mission houses 51 people and this year they provided 36,000 meals in the Soup Kitchen which serves residents of the Mission and people on the street. They have a staff of 11 that work around the clock providing meals, clean bedding and a clean and safe home for both residents and those just staying a few nights. The Mission serves three meals a day and runs on the proceeds of their thrift store, an annual golf tournament and individual donations. Under Sharon’s leadership, this structure has become a model for veteran shelters across the country. Sharon has dedicated her life to helping the disenfranchised, supporting all people independent of their appearance, past or place in life. She has received countless awards over the years, most recently “The Unsung Hero Award” from her alma mater Mount St. Joseph Academy (MSJ Class of ’65). After growing up in Rutland, Sharon completed her bachelors in early education from the University of Maryland. She then taught special education and served as the head of the Adult Education Program at the Brandon Training School for eleven years. This was followed by the state exam for social work, which led her to the Open Door Mission. Sharon lives in Rutland with her two children, two grandchildren and two great-grandchildren. What inspires your work with the Open Door Mission? What inspires me most is I went to MSJ and was always taught by nuns who said we should pay our good luck forward, and so too again when I attended The College of St Joseph. Second, and probably the most important, is that Jody Fish, a classmate at MSJ, went to Vietnam and never returned. That is why I contract with the VA to work with veterans. What impact has the Open Door Mission had on your community? The impact on our community is that the disenfranchised and the homeless veteran has a warm bed and 3 hot meals daily in our soup kitchen, where we serve 120 meals daily. We also serve folks from the street. There is nothing better then to see a small child go home with a full tummy and a smile–it makes my day–or when a veteran who has been on the streets in larger cities tells us how special our food is. What have you learned from your work at the Open Door Mission? Every day I learn something new. A few of those lessons are: but for how my life has been I could be on the streets; I have learned that labels are for cans, not for people; and we don’t always know what is causing people to have addictions or mental illness. I have learned if each one of us tries, we can make a difference in the world. My advice for others is to make a impact on the community, stop and look around. You will see the need. Don’t judge people, for you will find that most are good people who have chosen that road that is too often traveled. I suggest instead, as Robert Frost wrote, to take the one “less traveled” in order to make a difference. 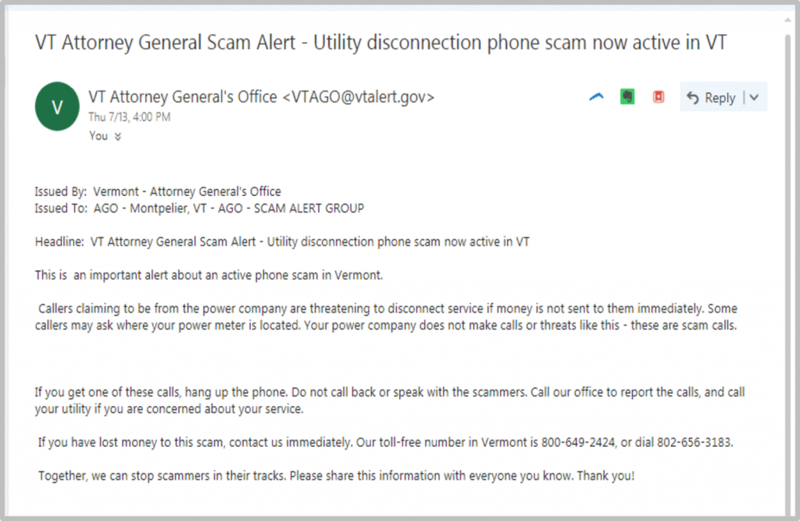 Last week our office sent out the first scam alert through the VT Alert System to warn Vermonters about an active utility disconnection phone scam (listen to the alert here). This exciting program started three weeks ago when the Attorney General’s Office partnered with Vermont Emergency Management to use their existing “VT Alert” emergency notification system. The system lets you get instant alerts by email, text message, or a phone message. We’ll be using this system to alert Vermonters about scams going around the state. You must sign up to get these alerts. So far, 677 people have signed up through our website and over 3100 signed up through the VT Alert portal! We don’t want to send out too many alerts, so we’ll only use the system to let you know about scams that are new, have changed, or are happening most often. We also might send you alerts about scams that are happening in your town or county specifically. Signing up is free and easy. Call us at 802-656-3183 or 1-800-649-2424 (toll-free from a VT phone). You can also visit our website consumer.vermont.gov and click on “Sign Up for Scam Alerts!” You can choose to get alerts by text message, email, or a prerecorded telephone message from Attorney General Donovan. We want to help you stay informed and stay ahead of scammers trying to defraud Vermonters. Once you sign up for the Scam Alert System, we encourage you to spread the word by sharing the alert message with your friends, family, neighbors, and communities. Together we can get informed, spread the word, and stop the scams. 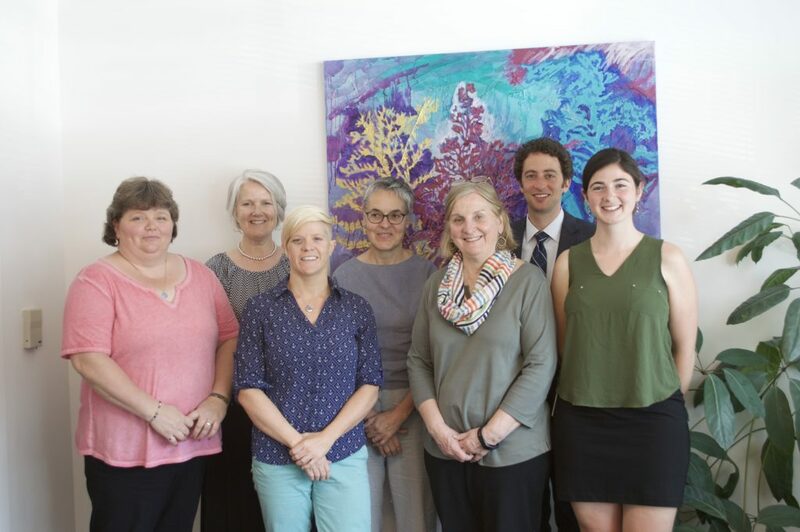 Our office would like to extend a special thank you to our partner at the Vermont Department of Pubic Safety, Emergency Management System–and in particular Director Erica Bornemann, Public Information Officer Mark Bosma, and Administrator Randy Bronson.